If you're 65 or older, it's very important for you to remain upright. Falls are a common danger facing people as they age, and a new study shows the importance of avoiding that first one. The findings, published this week in Annals of Emergency Medicine, showed that more than half the seniors who went to the emergency room (ER) because of a fall either had additional falls, had to be hospitalized, or died within six months. "Our study shows an even higher rate of adverse events than previous studies have," said lead study author Jiraporn Sri-on, MD, of Navamindradhiraj University in Bangkok, Thailand. And if an older person happened to be taking psychiatric medication or a sedative, he or she was even more likely to quickly suffer fall-related adverse effects. "This is concerning because these types of drugs are commonly prescribed for elderly patients in community and residential care settings," Sri-on said. The study looked at patients 65 or older who were treated in the ER for injuries as the result of a fall. It found that a small minority -- 7.7% -- developed adverse events within a week. For most, it took a little longer for other problems to develop. More than 20% reported additional issues within 30 days while 50% suffered an additional setback within six months. Within that period, 22.6% had at least one additional fall, 42.6% had to revisit the ER, 31.1% required a hospital stay, and 2.6% died. 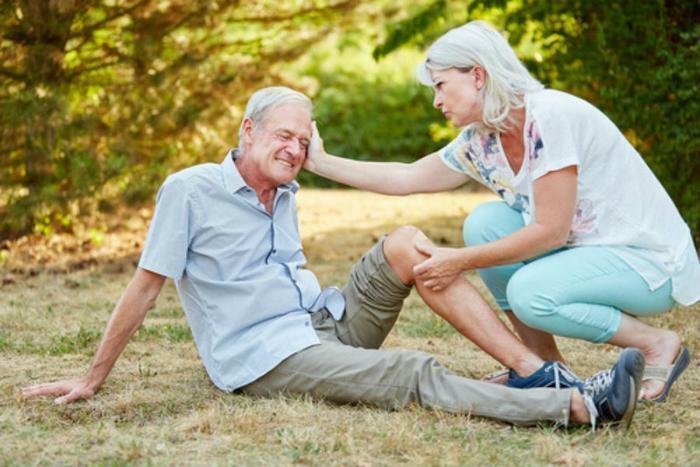 Sometimes, a fall by an elderly person is caused by an underlying medical condition. The fall is simply a symptom of a larger problem. But the researchers say medication no doubt plays a significant role in raising the risk. They say besides taking psychiatric drugs or sedatives, patients taking five or more medications were more likely to suffer a fall. The study concludes that ER personnel have a huge opportunity to reduce the adverse event rate among older patients who have fallen. A simple step, the researchers say, would be to follow existing fall guidelines and educate older patients on safety steps to reduce future falls.